Blood on the Battlefield involves a couple of key choices that strongly influence the ending of The Witcher 3: Wild Hunt. Blood on the Battlefield is not a fighting and puzzle solving missions – it’s a talking and feeling mission. As such, it doesn’t really need a walkthrough in order to complete it – but if you want to make informed decisions regarding the ending you’ll eventually receive, it’s best to pay attention to what you do and say. It’s a really good idea to make a back up save now; there are important decision points ahead and no further opportunity to save before they begin. When you’re ready, head down the narrow path to the north to find Yennefer, Triss and Avallac’h. Continue through the dialogue saying whatever you please until Ciri storms off in a huff. Are you ready to make a bunch of limited time choices that have a direct effect on the ending you see? 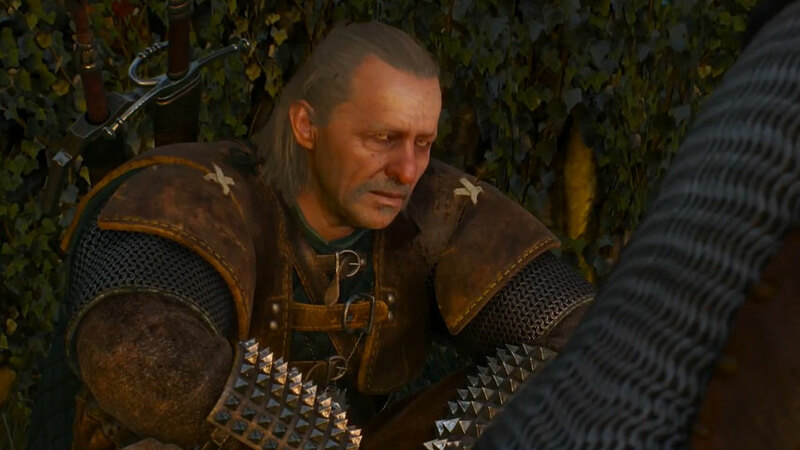 Please don’t read anything below if you wish to avoid spoilers regarding the consequences of your actions; the quest ends when your choices are complete, so proceed directly to Bald Mountain, the first quest of The Witcher 3: Act Three. If you choose “Think I know what might lift your spirits”, you push for a positive ending. You will have a snowball fight with Ciri. Use R1 to throw a snowball, and loot more from snow piles around the courtyard (indicated by waypoints when your inventory is empty). Dodge or roll when Ciri throws, and hit her while she’s making a new snowball, just after she’s stopped moving. Track her by the waypoint. Choose “Relax, you don’t need to be good at everything” to push for a negative ending. All you have to do is drink and chat with Ciri. Choose “Gotta visit the emperor first” to unlock an additional possible ending, and another chance to push for a positive ending. Choose “All right, Velen it is” to end the quest without choice three. Choose “Didn’t do it for the coin” to push for a positive ending and receive a new horse. Onwards to Bald Mountain, or back to The Witcher 3: Act Two.